Karina Berg Johansson is an alum of the Eckerd College Writers’ Conference: Writers in Paradise. Her debut novel, SYNVILLA, has just been released in Sweden. Karina was kind enough to answer a few questions about her new book. SYNVILLA, or DELUSION (the English translation of SYNVILLA), is a dark and edgy, Young Adult novel. What drew you to that genre? Did you start with the genre in mind, or did the story dictate that would be the best format? I had no idea I was writing YA. I haven’t read YA in a long time, not since I was one of those young adults myself, which is a very long time ago. But when I finished the story I looked at it, trying to decide what kind of beast it was – adult or YA? With one of the protags a 15-year old boy, chances were it actually was YA. The first publisher I sent it to did both adult and YA, but said no. Second round, I sent it to two publishers, one adult, one YA. The YA-publisher wanted it – if I changed the ending to less of horror, more of hope, which I was more than happy to do. Embarking on the class trip to Gotland, the novel features two points of view: Samuel, the outsider teenage boy, and then Ika, the mother of one of Samuel’s classmates. How did you come to the decision to feature these two voices? And, how was it writing them? The main thing with Ika and Samuel as POV-characters are that both are outsiders. They are the ones not really involved in what’s going on, but they have great impact on the things that unfold. Samuel was easiest, because he came to me first. He’s the reason for me writing the story in the first place – giving voice to that lonely boy. I like his sarcastic tone, how he looks at the world and everyone in it with a sneer. Although not very nice at first glance, he was, and hopefully is!, a lot of fun to be with. Ika was more difficult, mainly because she and I are similar on the surface – both women, about the same age, struggling with kids and everyday life – but she does things I wouldn’t do. I wanted to create a character capable of the incomprehensible, and to try to understand why it happens. SYNVILLA is such a multi-faceted work, dealing with loneliness, acceptance, desire, and also the delicate issue of teenage suicide. It is not an easy issue to tackle in a debut novel. Did you have any reservations about how it should be handled? Not when I did the actual writing, really. Some concerns were inevitable, though. I knew I didn’t want him to go through with it. I wanted both him and readers to see that although we all might have dark thoughts for whatever reasons, things might change, and what seemed like the only solution just now, can turn into something completely different. I’ve heard you have a playlist of songs you listened to while writing the book. Do you feel music influences the way you write, and, if yes, how so? Oh, yes! Music is crucial when I’m writing. Most important for SYNVILLA is Keane’s Atlantic, which both sets the tone and captures the mood of the entire book. I started out every morning listening to that song to get into Samuel’s mindset, or listened to it in the car when I was stuck and in need of ideas. Actually that song is so important to the story that if possible, I would have wanted it to start playing when the book opened up, like one of those playing birthday cards. Care to share the playlist? Who are some of your influences as a writer? And, what are you currently reading? Ruth Rendell, Stephen King, Alice Hoffman, Dennis Lehane, Joy Fielding, Sterling Watson, Elizabeth Berg, Marian Keyes, Richard Matheson to name a few of the most important ones. Now I’m reading a lot of YA to familiarize myself with what is done, what can be done, what I hope to do, and I’m making exciting new acquaintances like Anne Cassidy, Candace Bushnell, John Green, Alicia Thompson, and my latest favorite Sarah Ockler who has written the awesome TWENTY BOY SUMMER which I’m reading right now. Your first language is Swedish, and your novel is in Swedish, and when you have attended the Eckerd College Writers’ Conference, you have submitted work in English. How difficult is it for you handling the translation of your work? Yes, Swedish is my first language, and apart from occasional visits to the US, I live and write in Sweden. But as apparent above, I’ve always read a lot of mainly American writers, in English. So, when I started writing fiction, I started in English, and found my style, my voice, my stories. In English I don’t aim for perfection in language because I know I can never get there. Instead I have to find the story, and I have to tell it in the most effective way I can because I can’t get into too much detail – I simply don’t know the language well enough. The best ‘side effect’ is that when transferring the story from one to the other, it’s so much easier to find and cut the boring parts. If I can’t be bothered translating it, it shouldn’t be in there at all! SYNVILLA has just been released by the Swedish Publisher Rabén & Sjögren. You’ve mentioned your experience in Sweden with publishing is different from what writers might experience in the United States. Could you tell readers a little bit about that process? To me, the main difference is that we don’t work with agents like you do, and I think that is simply a matter of numbers. In the US there are close to 310 million people. In Sweden we are closing in on 10 million. Huge difference, obviously. That doesn’t necessarily mean it’s easier to get published here, but because this is a smaller venue the whole business of publishing works on a smaller scale. And then the agents …we do have them, but sort of at the opposite end. We send the manuscript – the full ms, no queries needed, no waiting for partials to be read – directly to the publisher. I then got an agent when I signed the contract with the publisher, an agent who didn’t handle or negotiate that initial contract at all, but who will work to sell my novel in foreign markets. What can readers expect next from Karina Berg Johansson? The next thing I’m working on is YA from the get go. It will still be dark, but I’m trying to learn from all that other YA stuff I’m reading and loving. Hopefully it will be chattier, more detailed both in terms of characters, settings and story, and a lot longer. This is your first book length publication. There are many writers out there who are working toward that very goal. What would be your advice to those writers? Learn all you can – through novels, how-to-books, conferences, writing groups. Study the novels you love and see how they do it. Find books on writing and pick a thing here, a thing there and mix it into your way of working. Go to great conferences like ECWC and learn from teachers and students there. Find a writers’ group just as awesome as the one I have had the joy to be a part of – writers who take writing just as seriously as you do and who challenge you into becoming a better writer. 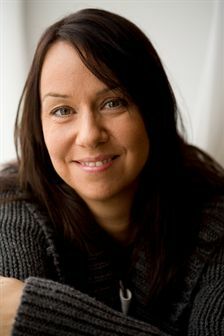 Karina Berg Johansson is a Swede with a love for writing, the English language and dark stories. Her short stories have appeared in magazines, both online and in print, and in “Deadlines – an anthology of horror and dark fiction”. 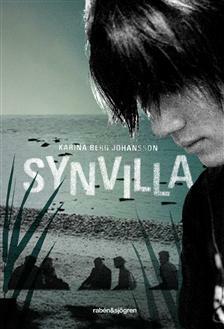 Her debut YA novel SYNVILLA is just out from Swedish Rabén & Sjögren. You can also find Karina on her website and on Facebook. In 2009, an excerpt of SYNVILLA was selected for “Best Of” the Eckerd College Writers’ Conference Workshops and was published in Volume 4 of SABAL. Lily Prellezo is an alum of the Eckerd College Writers’ Conference: Writers in Paradise. Her first book length publication, SEAGULL ONE: THE AMAZING TRUE STORY OF BROTHERS TO THE RESCUE, has just been released by the University Press of Florida. Lily was kind enough to answer a few questions about her new book. What was the driving force behind your wanting to capture the history of the group, Brothers to the Rescue, in this book, SEAGULL ONE: THE AMAZING TRUE STORY OF BROTHERS TO THE RESCUE? Then he summoned the Basultos to his home for more drinks (I had only water at that time) and we met, hit it off, and started to work. I had admired this group in the 90s when I was busy raising my little girls, but the extent of my involvement was attending a fundraiser once. After I met with Basulto and for six months helped him organize the files, the driving force became telling these people’s stories. Clearly, a great deal of research was done on this project, and it was also done in collaboration with Jose Basulto. How was the research process for you? And, could you explain how it was working with Mr. Basulto? I really enjoyed the research part. I used to love writing term papers, so you know where I’m coming from. But with Brothers to the Rescue, the more I found out about the people and the organization, the more I wanted to know. Working with Basulto was difficult at first. I was in awe of him. To me, he was bigger than life, and yet here he was, a grandfatherly-type easy-going guy who would bring me “cortaditos” every morning. My goal was to win his trust, something no one else (and many had approached him about writing the story) had been able to attain. But I had to be very, very patient with him (not my forte). His wife Rita taught me a lot about patience. Did you encounter any red-tape in gathering your research? Yes, there are still tomes of classified files on BTTR. Both Basulto and his friend, WTVJ reporter Hank Tester, have filed numerous claims under the Freedom of Information Act. It takes years for one of these requests to be answered, so every year, more and more information trickles in. I think it will be several DECADES before the whole truth comes out, particularly on the shoot-down. Interestingly, throughout the book, while a few of the balseros were vocal and active, the majority remained quiet, as you point out, especially after the shoot-down. Why do you think that is? The balseros were people who had lived their entire lives under a totalitarian regime. Every neighbor could be a spy, so just leaving the country had to be kept secret from everyone. If they managed to survive the trip over, and left family behind, they certainly did not want to align themselves with BTTR. Some were just scared. Others were just too busy trying to survive in a new country. The rest, well, I don’t want to judge. The one thing I’ve learned in interviewing over 100 people is that everyone has a story tell, and tells it somewhat differently. Forging an engaging narrative out of so many people and so much information is no small task. What was your process when it came time to transform information into a historical retelling of the trials and tribulations (as well as the successes) of Brothers to the Rescue? First I drew up a timeline of the major events of the story, and I actually scotch-taped them in a line around the walls of the A+ Mini-Storage warehouse where we worked from for over two years. Then I worked with a skeleton of the story. As I interviewed each person, I plugged their story under the timeline of where it belonged. I know you are part of a writers’ group and have attended some writers’ workshops (including us, here, at Writers in Paradise) while working on SEAGULL ONE. As a writer, what do you find to be the most beneficial aspect(s) from the group and writers’ conferences? Conversely, what do you find the drawbacks to be? WIP is excellent all around. Its 8 days long and it never seems like it’s long enough. For me, it’s almost like a religious experience going every year. What I love about WIP is that it really concentrates on craft. While it’s of utmost importance to find an agent and market your book, the most important thing is: write a good book. The advice I received from Les Standiford and Roland Merullo, who both reviewed my early manuscript, was invaluable. I am forever indebted to them. The drawbacks of some writers’ conferences is that they devote too much time to how to get an agent and how to market—both extremely important—but I firmly believe it is more important to first write a good book and write it well. I met my critique group at a writers’ conference here in Miami hosted by the Florida Center for the Literary Arts at Miami Dade College. Commitment is the most important thing. Knowing you are going to meet with your peers every week keeps you on task. The many times you want to quit, you don’t, because you are accountable not just to your own work, but to the group. We’ve become great friends. The drawbacks of some critique groups are that they lack commitment or are more interested in criticizing than critiquing. WIP has very firm guidelines established in our workshops on how to peer review and in the four years I’ve attended, I’ve never witnessed anyone deviating from those guidelines. Kudos, WIP! SEAGULL ONE is published by the wonderful University Press of Florida. In your acknowledgments, you thank Janell Walden Agyeman for recommending a university press. How did SEAGULL ONE come to find a home at UPF? I had an agent, then lost her. Unfortunately I had not done my homework. Basulto and I had not signed a collaboration agreement, something the agency required, which was the first thing we should have done before I wrote one single word. Without going into details, let me just say it took six months to get the collaboration agreement finalized, so I think my agent was patient enough. Even the “boiler-plate” agency agreements ask you to give up a lot more than you think, and if it’s difficult for one person, you can imagine how difficult it was for two. Most agencies only want to deal with one person. After that disappointment, I took a “Paths to publications” workshop at Miami Dade College. Janell suggested I contact a University Press, something I had not considered before. The first one, naturally, was in Florida, so that’s how I came upon UPF. Within one week, they answered my query. My favorite part of that acceptance letter was the sentence: “You are a good writer.” So simple but it meant the world to me! Don’t stop working on craft. Keep making your writing better. And though some people can (I don’t know how) do it on their own, writers’ workshops and critique groups and conferences and seminars help make your writing better. There’s always a golden nugget to take away with you, like when I heeded Janell’s advice. People you meet in the writing world (writers, publishers, agents, media) put you in touch with so many other people in your field. Listen. Get their business cards. Email them the next day and say how nice it was to meet them. Keep their contact info. Don’t consider your fellow writers competition, but rather, consider that they may make you write better or work harder. You have a story to tell. Your voice needs to be heard. Now available at Amazon, University Press of Florida, and Books & Books among others. 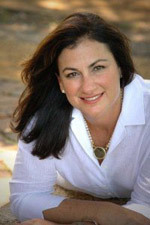 Lily Prellezo’s first book Seagull One: The Amazing True Story of Brothers to the Rescue, has been selected for the Miami Book Fair International 2010. She is currently working on a historical-fiction novel based on the life of a 101 year-old Cuban-American woman. Prellezo is a freelance writer and sought-after editor for Miami business executives. She contributed to The Catholic Voice from 1987-1997, and is part of the speakers bureau for the Archdiocese of Miami. She has fifteen years public speaking experience and is fluent in English and Spanish. Prellezo was a volunteer teacher for eighteen years and was the editor of Beyond The Grotto, her alumnae newsletter. Prellezo has participated for the past four years in the Eckerd College Writers Conference-Writers in Paradise directed by Dennis Lehane and Sterling Watson. She has also attended the Writer’s Institute at Miami Dade College and is the member of a writer’s critique group. She graduated from FIU with a major in English. Lily and her husband Steve, their two daughters, and two grandsons live in Miami, Florida. For a list of upcoming speaking engagements and further information on Lily Prellezo and SEAGULL ONE, please visit the SEAGULL ONE website. You are currently browsing the Writers in Paradise Alumni blog archives for September, 2010.